Check out Tobi's Crossing Lines Knit Crop Top Summer to fall transition? No problem. The transition is a breeze with the Crossing Lines Black Knit Crop Top. 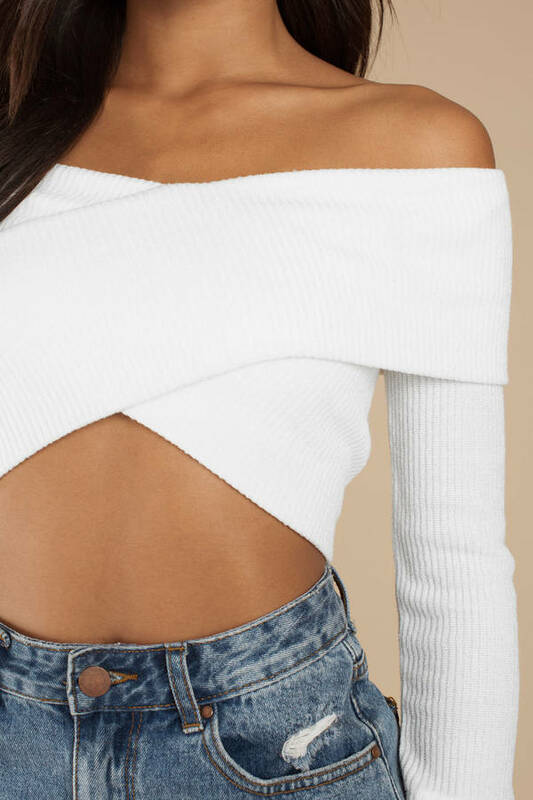 This bardot crop top features an off the shoulder cut, long tight sleeves, and wrap detailing, creating an asymmetrical curved hem to show a lil' more skin. Pair this cute knit top with high waisted denim or culottes to make your way to fall. Summer to fall transition? No problem. The transition is a breeze with the Crossing Lines Black Knit Crop Top. 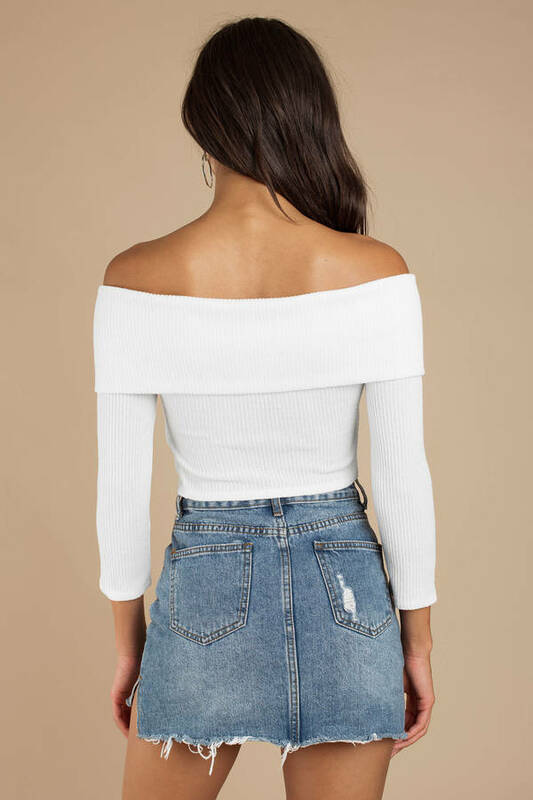 This bardot crop top features an off the shoulder cut, long tight sleeves, and wrap detailing, creating an asymmetrical curved hem to show a lil' more skin. Pair this cute knit top with high waisted denim or culottes to make your way to fall. Summer to fall transition? No problem. The transition is a breeze with the Crossing Lines White Knit Crop Top. This bardot crop top features an off the shoulder cut, long tight sleeves, and wrap detailing, creating an asymmetrical curved hem to show a lil' more skin. Pair this cute knit top with high waisted denim or culottes to make your way to fall.